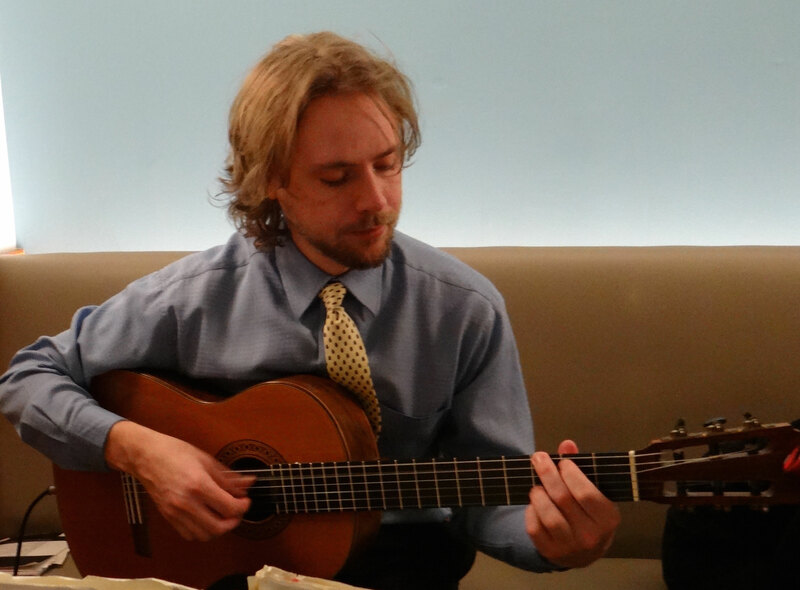 We hired Steven to play at our wedding ceremony in May 2014. He was fantastic. He was not only on time, but he made things very easy for us by getting his sound system needs taken care of ahead of time. In fact, by the time I noticed Steven had arrived, he was sitting in his chair all set up and ready to go! Steven played every song we asked for, and he played all of them exceptionally. In my opinion, he sounds better in "real life" than the samples on his website. Multiple guests at our wedding commented to me personally about how great Steven's performance was and how well he played all of the songs. I could not recommend Steven highly enough; if you're looking for a classical guitarist to make that special day even more special, he's your man. He made things very easy for us, and, more importantly, made our wedding day that much more special. What more could you ask for? Kevin S. Southington, CT.